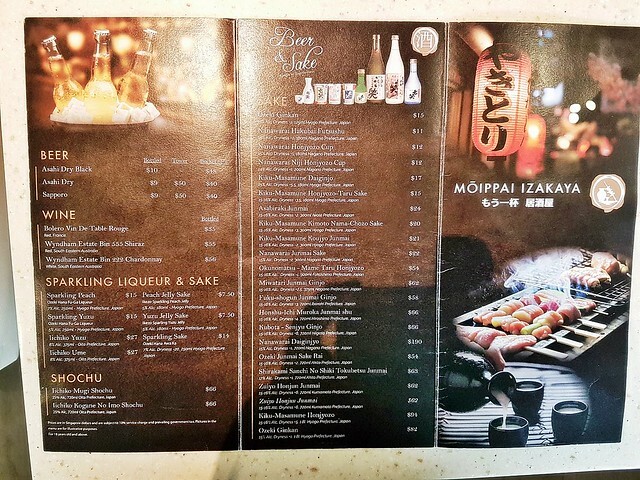 Opening its doors in August 2017, Moippai Izakaya is a casual, comfortable, kushiyaki and izakaya bar. 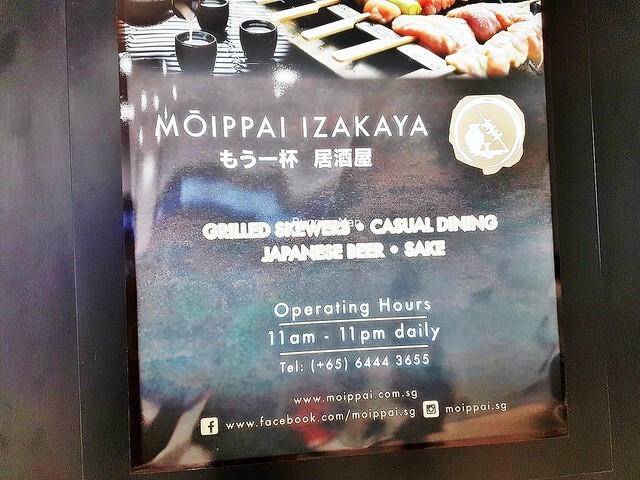 With a focus on Japanese small bites / tapas, and good grilled skewers, Moippai Izakaya makes for a good place for after-work snacks and drinks. 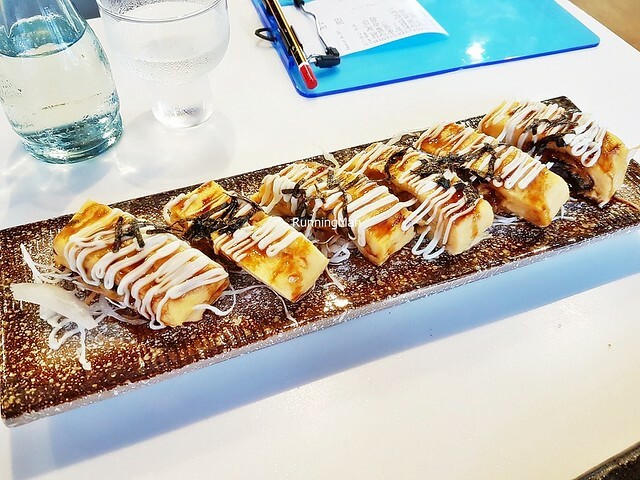 Their name means 'One More Please', and this is something I've said to the staff over several visits here, can't get enough of their delicious skewers. 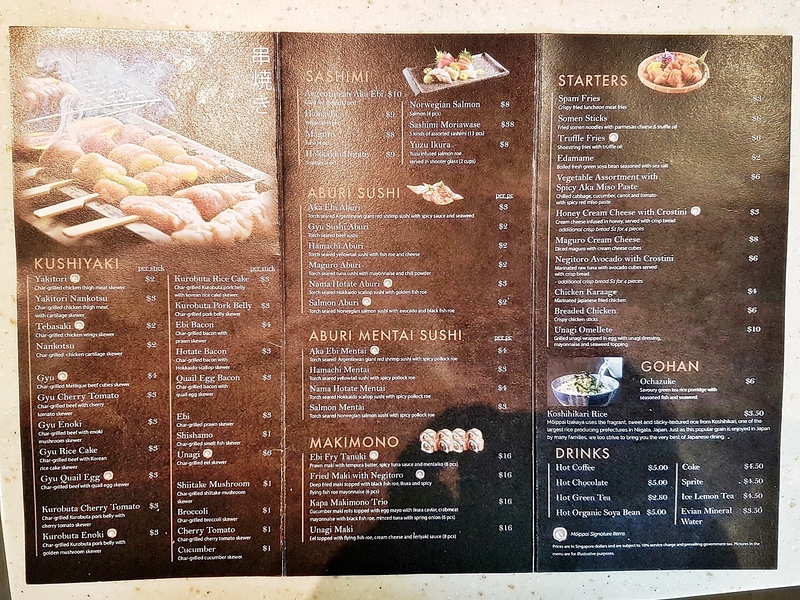 Ambience at Moippai Izakaya is casual modern, designed for communal dining. The place receives ample natural light during the day, with warm lighting at night. The spacious cushioned furnishings, in shades of wood, brown, and beige, lend an earthy, tranquil feel. 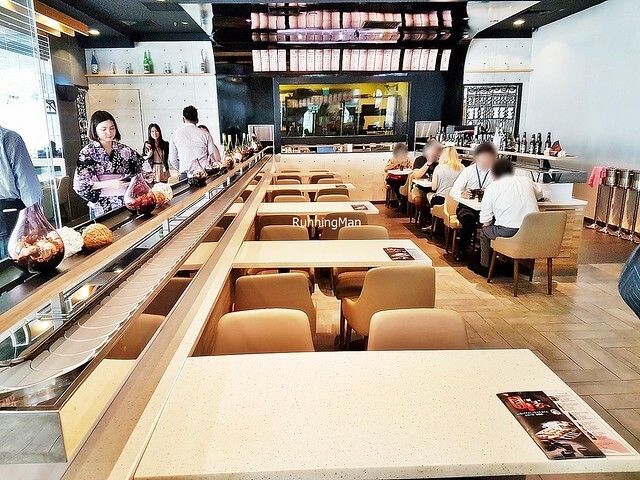 A conveyor belt divides the dining area down the middle. The open concept place means ambient noise can be rather high during peak periods. There is a small outdoor al-fresco dining area, I find it quite comfortable on cool nights. Service at Moippai Izakaya is friendly and polite. Staff are beautifully adorned in traditional yukata - a casual, colourful, summer kimono. They bow slightly after serving drinks or dishes, in typical Japanese fashion. I notice they're efficient at clearing away empty / dirty tables when diners leave. However, being new, the product knowledge was lacking during my visit, though this should improve with time. Also, several of them are unable to converse in English, which is a shame. Food at Moippai Izakaya is all about light bites, in particular, Japanese kushiyaki and sushi. 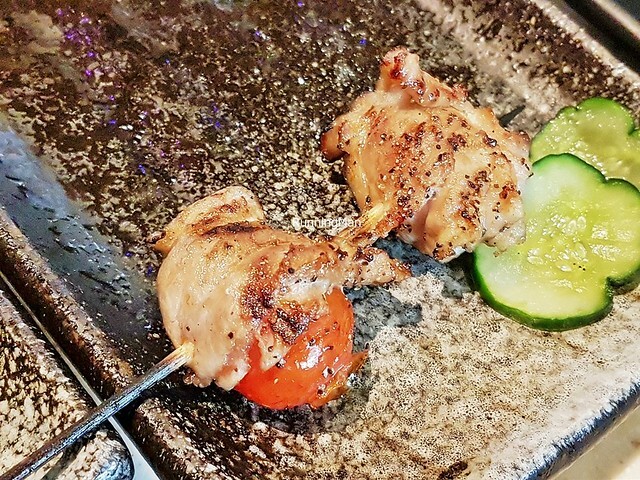 Skewers are well grilled and tasty, the difference here is they rely less on basting sauces or marinated items, instead focusing on the natural flavours of the ingredient itself. Commendable, because there is no way to hide if something isn't fresh. Portions are sized for individuals, and prices are affordable and wallet-friendly. Budget about SGD $32 per person for a meal with drinks here, and about SGD $25 without drinks. 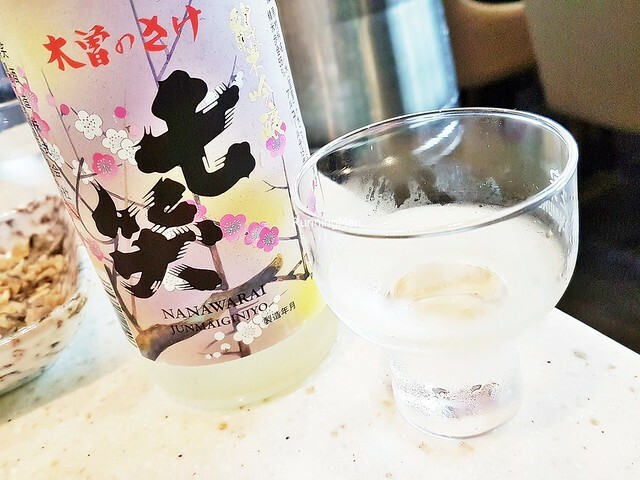 The Sake Nanawarai Junmai Ginjyo (SGD $22 / $50) is brewed by Nanawarai Shuzo brewery in Kiso-Fukushima town, Nagano Prefecture, in the Chubu region of Japan. Made with 70% milled Miyama Nishiki white rice from Nagano Prefecture. 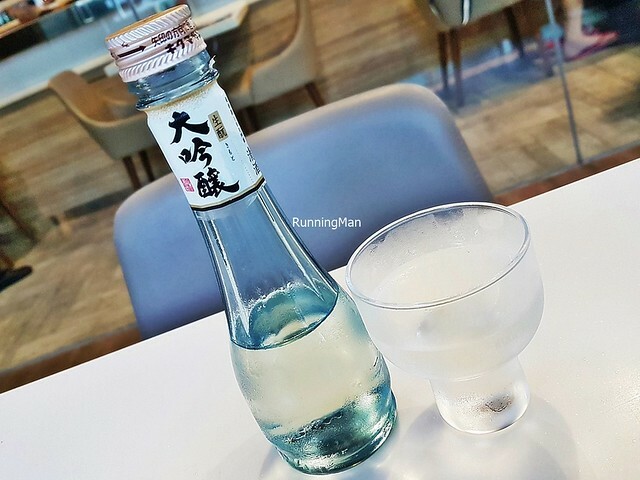 It has a clear, transparent colour, quiet aromas, and a rounded texture with an off-dry feel. Very refreshing and pleasing, easy to drink, and pairs well with the heavy grilled items. 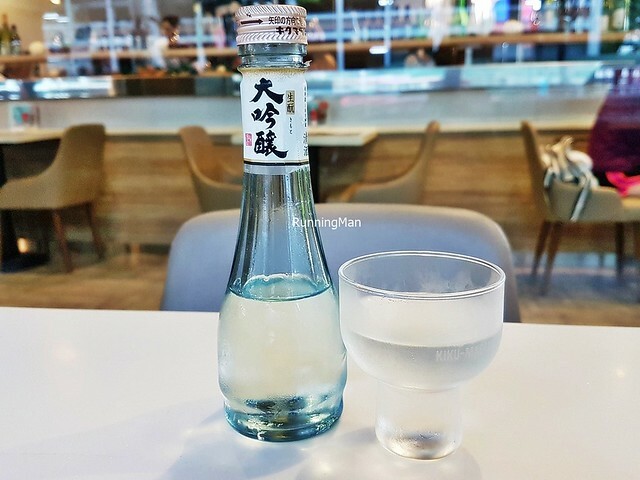 The Sake Kiku-Masamune Daiginjyo (SGD $17) is brewed by Kiku-Masamune brewery in Kobe city, Hyogo Prefecture, in the Kansai region of Japan. Made with 50% milled Yamada Nishiki white rice from Hyogo Prefecture. 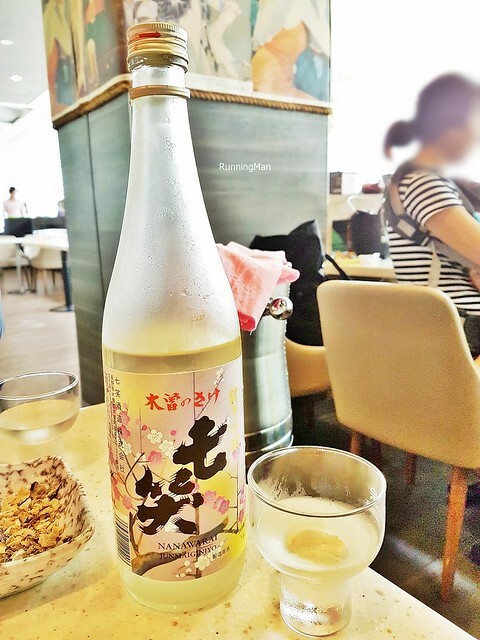 It has a clear, transparent colour, fragrant earthy aroma, and a soft but crisp texture with a dry feel. Brewed during the winter months, under the supervision of a Tamba-toi master, this has a refreshing, clean sensation. 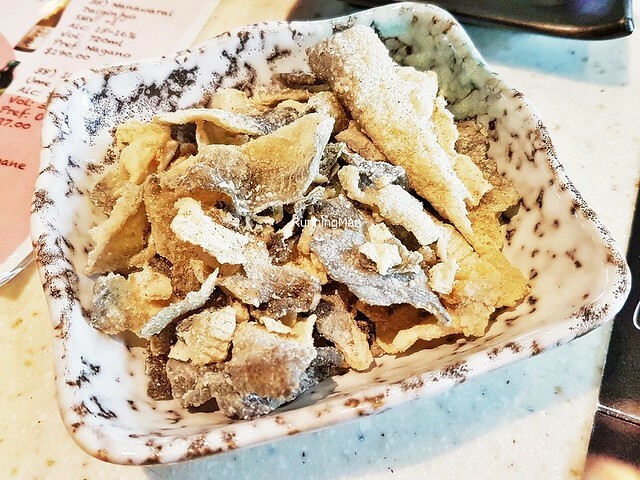 The Crispy Fish Skin (SGD $2) is rightly crisp, crunching loudly when bit. Satisfiying item to munch on while waiting. This is served proactively at the start of the meal, but note that it's chargeable, so you can choose to refuse the dish. Personally, I don't mind having it. 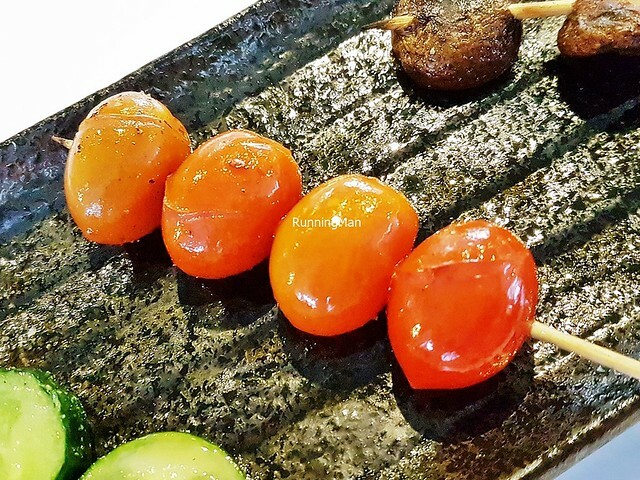 The Cherry Tomato (SGD $1) skewer has 4 bright and juicy sweet cherry tomatoes. 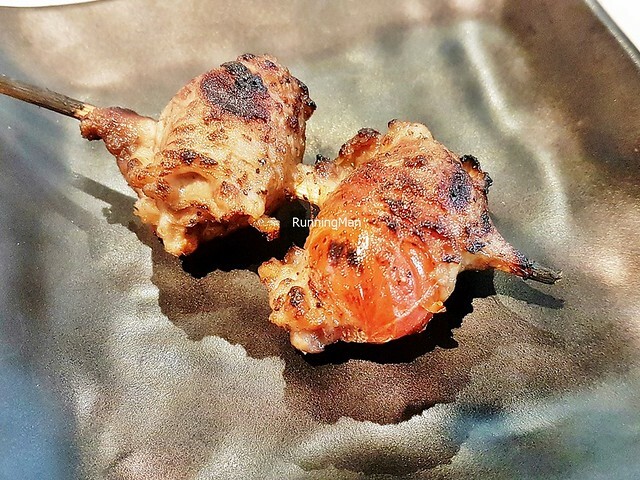 These burst in the mouth delightfully, and provide a nice contrast to the heavier flavours of the grilled meats. The Shiitake Mushroom (SGD $1) skewer here is weak. 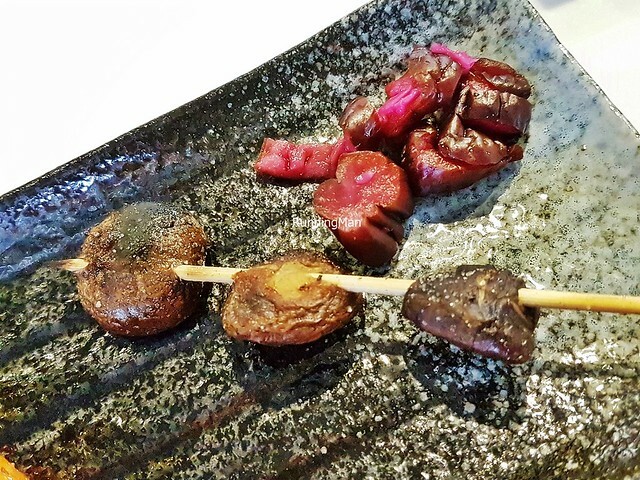 The shiitake mushrooms are small in size and rather dry in texture, though they hold good earthy flavour. Also a tad heavily salted. Could be better. 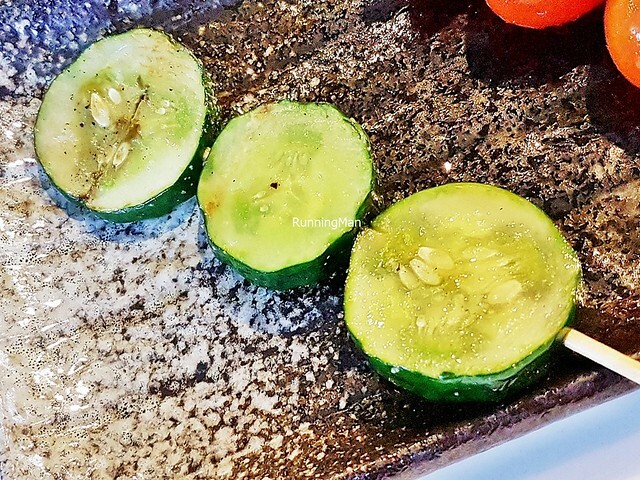 Love the Cucumber (SGD $1) skewer, with its trio of juicy, crunchy sliced cucumber. Good vegetal sweet flavour, with a hint of smoky aroma. 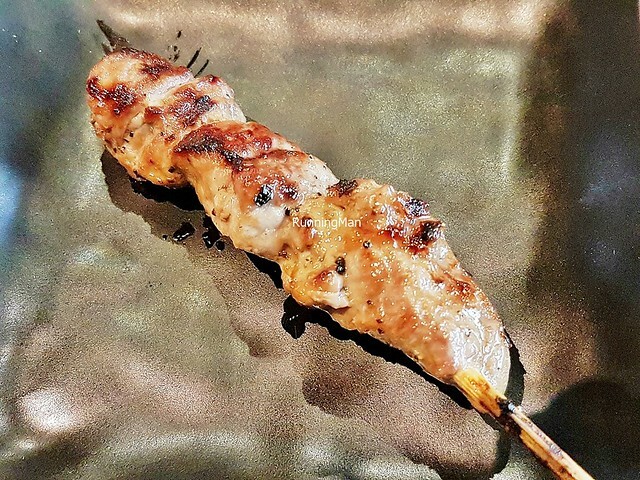 The Gyu (SGD $4) skewer has a tender, juicy fillet of beef, with a robust smoky savoury flavour. While it could do with a pinch of salt, I think this will still appeal for many. Satisfiying meaty chew, releasing the natural juices that coat the palate in a luscious texture. The Gyu Cherry Tomato (SGD $3) has a skewer of beef wrapped cherry tomatoes. The bright, floral juicy sweet cherry tomato just bursts delightfully when bit, then you get the deep meaty savoury flavour of the sliced beef. 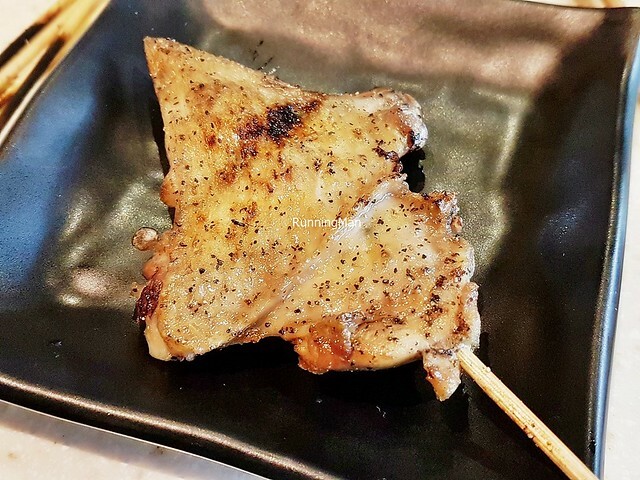 The Kurobuta Pork Belly (SGD $3) has a skewer of crunchy juicy pork belly, with a delicate savoury flavour. 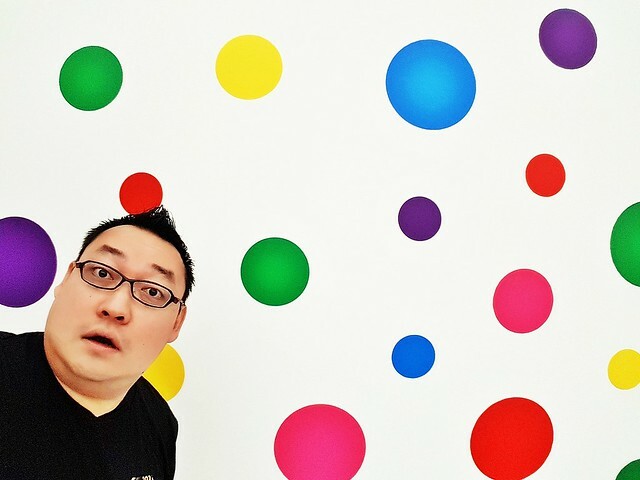 Nicely done, the silver of fat renders it so succulent. I note that the cuts differ however, some are sliced heavily from the pork belly, while others incorporate parts of pork loin in the skewer. 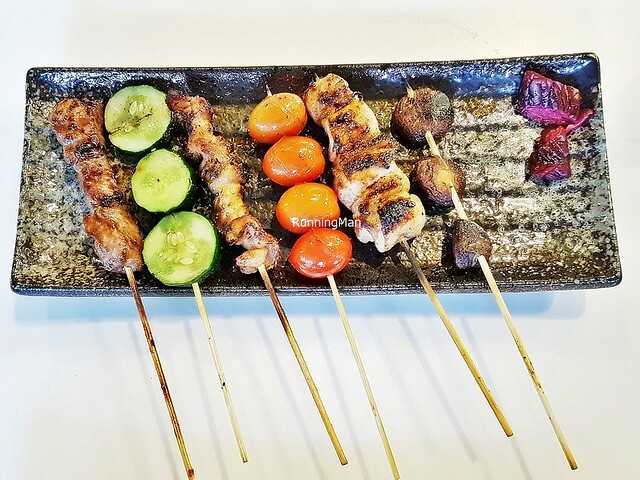 The Kurobuta Pork Cherry Tomato (SGD $3) skewer has pork belly wrapped cherry tomatoes. Bright and juicy sweet, the cherry tomatoes complement the delicate savoury notes of the sliced pork belly. Nice hint of smoky aroma on the back too. 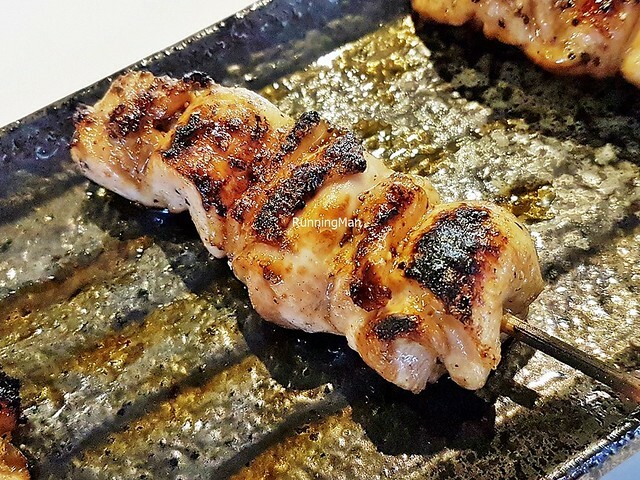 The Yakitori (SGD $2) skewer has a large, tender, moist fillet of chicken, with a light savoury sweet flavour. The thin layer of fat beneath the skin makes it more succulent. Unlike elsewhere, they're light on sauce here, so the natural flavours of the meat shine through, overlaid with a hint of smoky aroma. 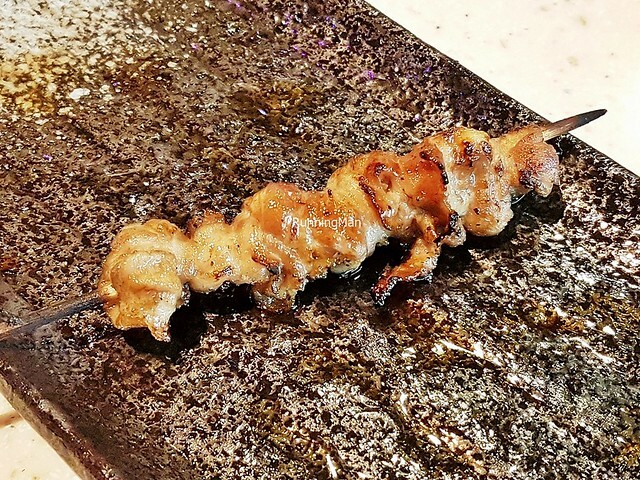 The Tebasaki (SGD $2) skewer has a spread chicken wing, partially deboned. While I love the smoky aroma and the light savoury sweet flavour, the texture of the meat bordered on dry. Could also do with slightly more salt for taste. 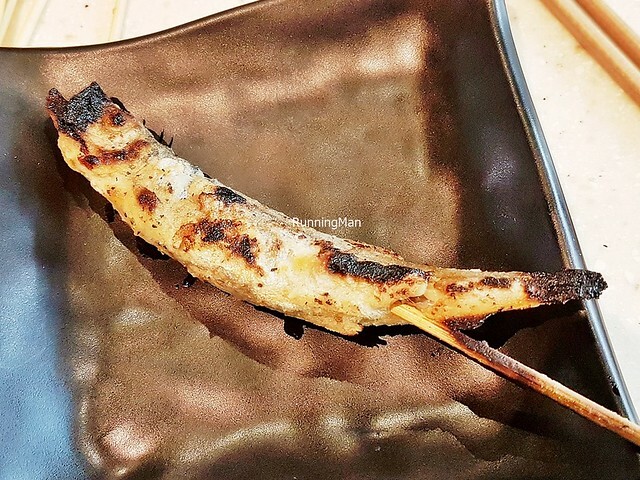 The Shishamo (SGD $1) is among the best value for money items on the menu. Tasty too, the smelt fish has a bold savoury salty flavour, and is tightly filled with fish roe. Slight charring on the head and tail, good smoky aroma. You could get full just by eating a few of these alone! 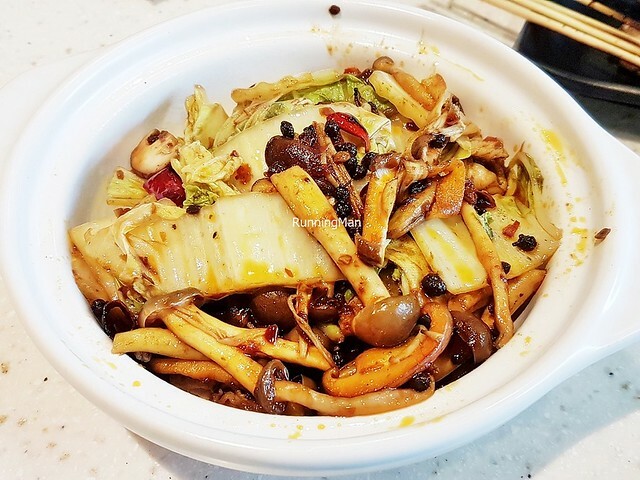 The Vegetable Assortment With Spicy Aka Miso Paste (SGD $6) has an medley of fresh vegetables (cabbage, shimeji mushrooms, shiitake mushrooms, black fungus / cloud ear fungus, spinach), tossed in a savoury salty red miso paste, along with chili oil. Has a numbing spicy sensation that lingers a short while. Similar to the Chinese dish of Mala Xiang Guo, but done in a rather novel fashion. While I like the generous serving of Chicken Karaage (SGD $4), the quality here is average at best. 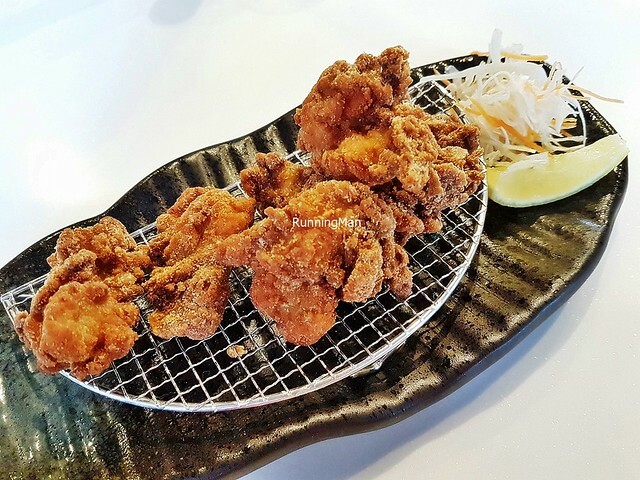 I like the super crisp, crunchy texture of the fried chicken chunks, and the good savoury salty flavour. But the texture of the meat within borders between moist and dry. The slice of lemon on the side helps a little with this, but it's still no better than elsewhere. 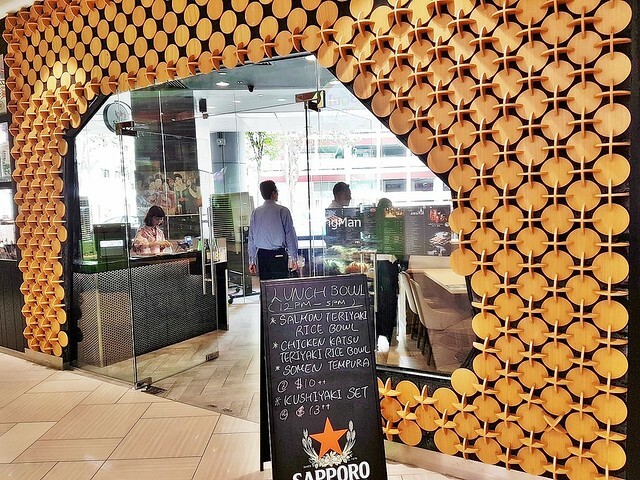 Absolutely loved the Unagi Tamago Omelette (SGD $10). 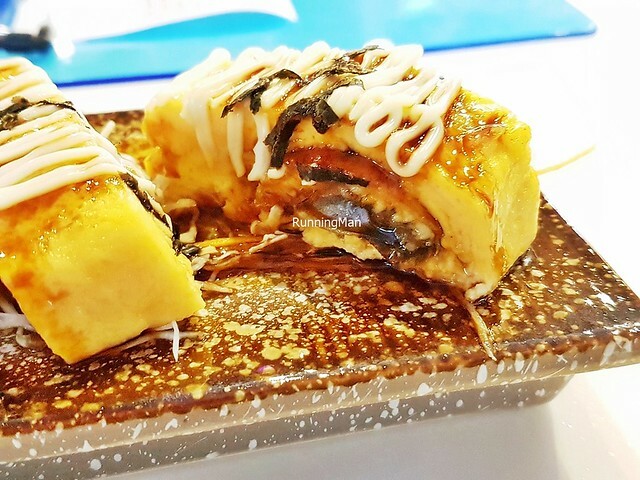 The tender, moist fillets of grilled unagi / eel are lightly marinated in a sweet tare sauce, sandwiched between semi-firm, semi-runny, soft Japanese style egg omelette chunks. Served on a bed of shredded cabbage, it has a lovely sweet savoury eggy flavour, very delightful. Would order this again. Good!